The labor force in any market consists of the adult population (16 and over) who are working or actively seeking work and includes both employed and unemployed workers. Children, retirees, students, and people who are not actively seeking work are not counted as part of the labor force. 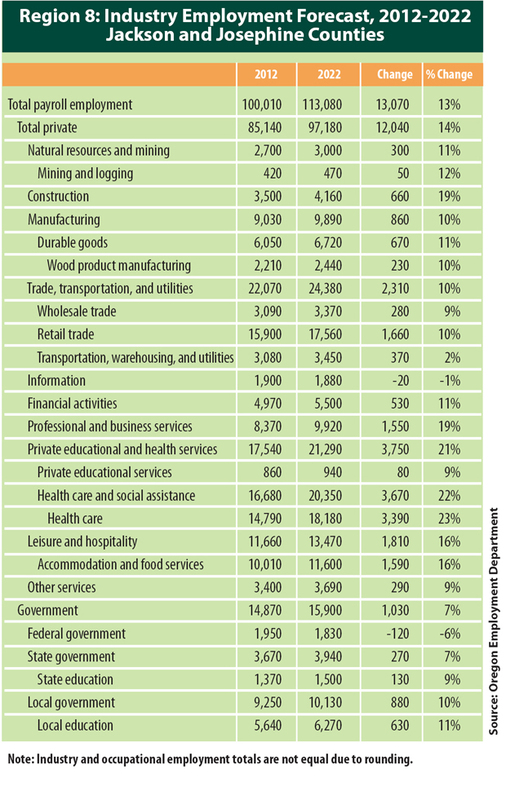 According to the 2010-2014 American Community Survey, an estimated 59 percent of the city’s population over 16 years and over (10,237) is in the labor force. 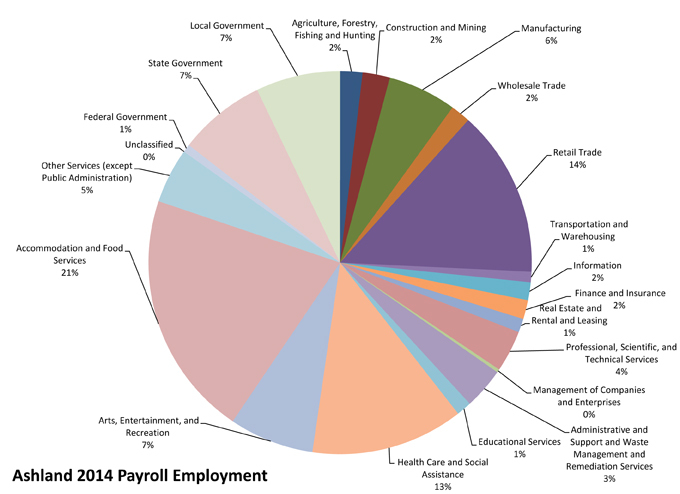 The Ashland labor force accounts for over 10.4 percent of the 98,444 people in the county’s labor force. One of the attractions of living in Ashland is the ease with which residents travel to work, whether by walking, biking, driving city roads, or by accessing Interstate 5. 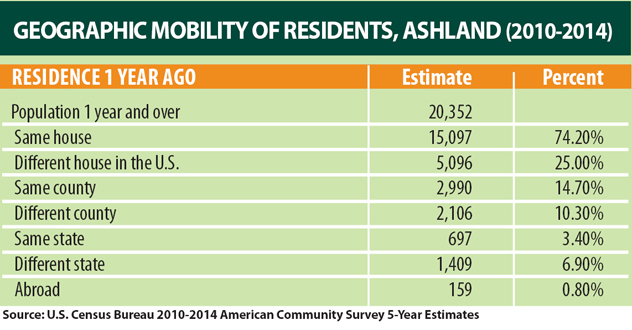 An estimated 57.5 percent of Ashland city workers drove to work alone in 2010-2014, 5.3 percent carpooled, 2.3 percent took public transportation (excludes taxicab), 12.6 percent walked, 15.4 percent worked from home and 6.9 percent used other means. Among those who commuted to work from outside of Ashland, it took them on average 16.8 minutes to get to work.